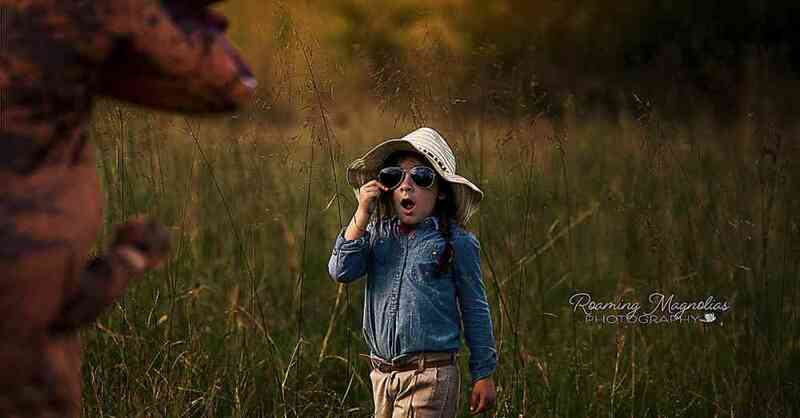 Reddit user RoamingMagnolias is a talented photographer and a mom of a brilliant little boy who has autism and hates to have his picture taken. Luckily, this kiddo has got one of the coolest moms on the planet. 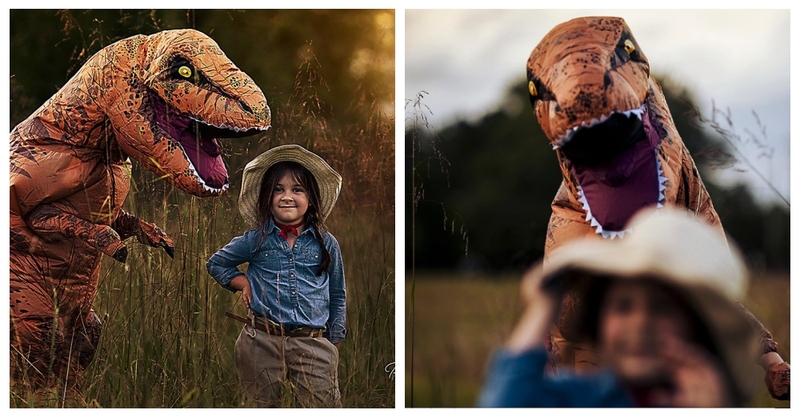 Rather than making her son dress up in uncomfortable clothing and sit smiling awkwardly while she took his photos like most of us would have, she decided to do something fun. 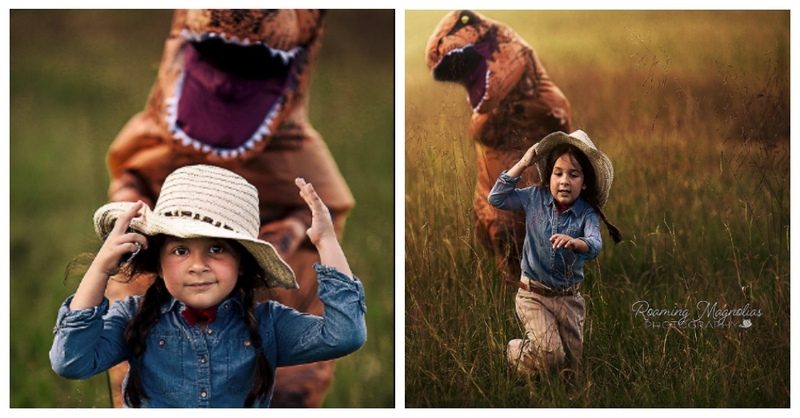 She played on the love of dinosaurs that her son and niece share and came up with a plan for one of the best photoshoots we’ve ever seen. 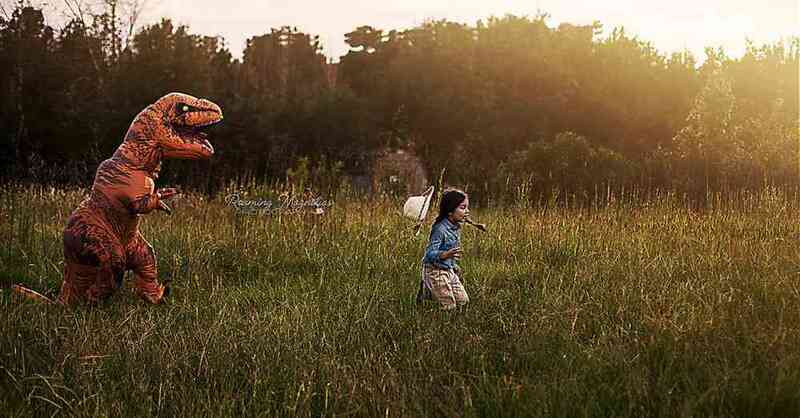 In the Jurassic Park themed photoshoot, RoamingMagnolia’s son was allowed to wear his beloved T-Rex costume and pretend to be a dinosaur from Jurassic Park, while his cousin played the part of Dr. Alan Grant, a paleontologist and the protagonist of the first and third movies of the series. 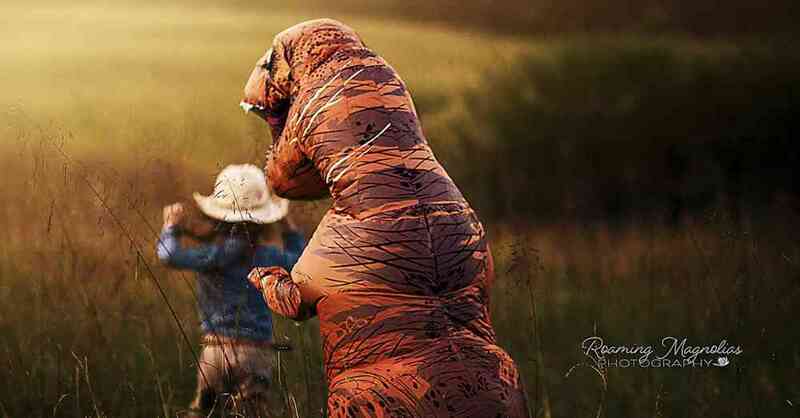 The mom writes that her son adores his T-Rex suit and would play in it for hours if he could. “If it wasn’t for the fact that it is SO hot in it I don’t think I would ever get him out!” she says. Perhaps this mom was so preoccupied with whether or not she could, she didn’t stop to think if she should. But it doesn’t really matter, because the internet agrees that this T-rific mom totally made the right decision! This is one of the most creative things we’ve ever seen, and it really demonstrates true acceptance of people on the autism spectrum exactly as they are! Thousands of Reddit users haven’t been able to keep themselves from commenting on this thread. Many of them are making references to Step Brothers and Jurassic Park movies, as well as other popular culture. 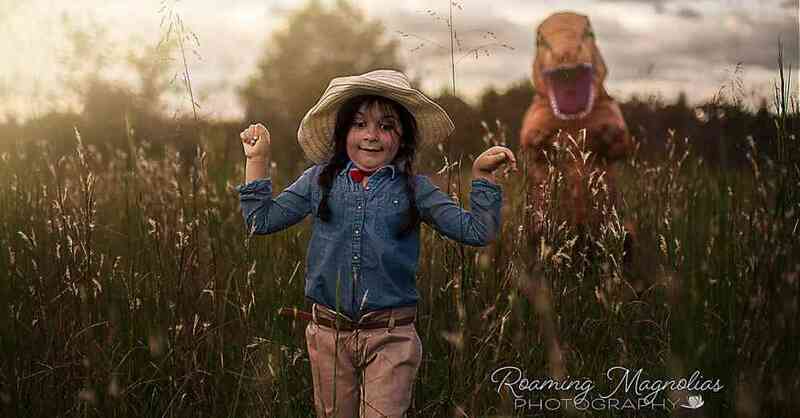 “Clever girl,” adds only_nathan, quoting game warden Robert Muldoon’s last words in the Jurassic Park movies. 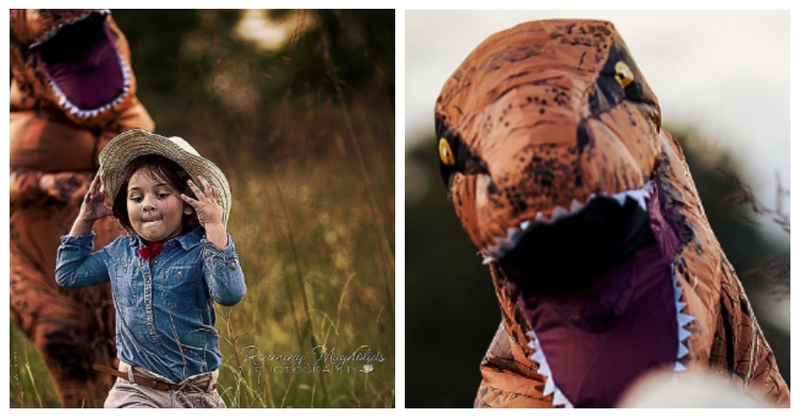 If this photoshoot has taught us one lesson, it’s this, as summed up by Reddit user v_ill (and Stepbrothers): Don’t lose your dinosaur. Ever. 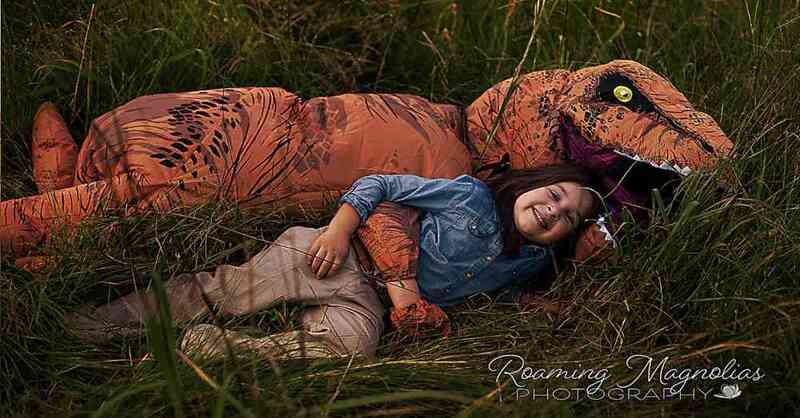 Thank you, RoamingMagnolias, for finding a way to help your son enjoy his photoshoot and sharing the story with others to encourage understanding and acceptance of people with autism exactly the way they are!